With a vote that fell along party lines, the Commissioners approved rules for the 2015 600MHz spectrum auction which will reserve portions of spectrum in markets for smaller competitors if conditions warrant. The amount of spectrum that may be set aside will be less than what T-Mobile, Sprint and other competitors were seeking, however, and that is seen as a small victory for Verizon and AT&T. Moreover, the FCC warned that even these limits could be yanked if a major wireless deal is announced, clearly a shot across the bow of Sprint and T-Mobile who may make such an announcement next month. As approved, the rules will set aside as much as a third of an available amount of spectrum in a market. Initially, the proposal sought to partition half of an available block of spectrum. However, given the other thresholds involved and the fact that all four major carriers have networks in all the major markets, this rule potentially benefits the major players at the expense of the smaller competitors. Despite the political divide in the final vote, members of both sides of the political aisle had concerns about rules that limited spectrum sales. The rules are arguably already convoluted and the consternation of the commissioners covered worries from whether current license holders would even participate (the actual number of participating TV stations is not known) to if the FCC could meet its mandate to fund FirstNet. God I hope Sprint doesn't put an offer in for T-Mobile..... I hate Sprint soooo much. I just left sprint for t-mobile and I will be pissed if they were to make a merger happen. I had to deal with sprint for about 7 years with horrible service here in south Florida. If they were so horrible, why would you stay with them for 7 years? Because he's obviously full of it. Have fun on T-Mobile and prepare to be pissed, because it's gonna happen . The only thing keeping Sprint + T-Mo merger talk alive is Son-boy's ego. 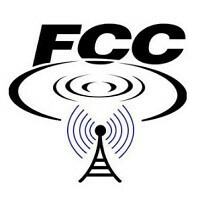 FCC has sent as clear a signal as it can of its position on the merger with its statement regarding revocation of spectrum set aside for smaller carriers. Right, right. You only talk about it in every post. Get over it, a merger of Sprint/TMO which continues some of TMO's aggressive marketing with actual money to back it up from Softbank who is willing and able to pitch in, unlike TMO's parent DT, may be the only hope to level the playing field with the duopoly. Like everyone else has been saying... GO AWAY. Your hate for Sprint is getting really old. I would like to know what part of the U.S. you live in because you obviously seem to be the only person that somehow has good service from sprint, hey they have ok customer service but their network is crap everywhere I've gone in Florida so I must ask where do you live that has good sprint service??? Maybe Deep Dish and nTacos merge with Splint. They each have some low quality wireless spectrum. Maybe together they can corner the market for lameness. You mean the low quality spectrum Verizon was trying to purchase for billions and the low quality spectrum t mobile bought from Verizon? The bs that continues to pour out of you is laughable. The FCC is a board of geezer puppets parking assloads of money in their back pockets. It's well and time for that march on Washington. The entire government is full of crooks, both parties.